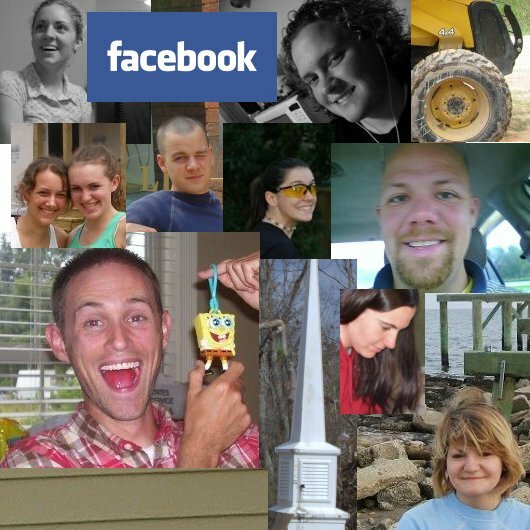 If you use Facebook, join our Lakeshore Baptist Disaster Relief group. The pilings have been set, and another new construction house awaits a framing crew. 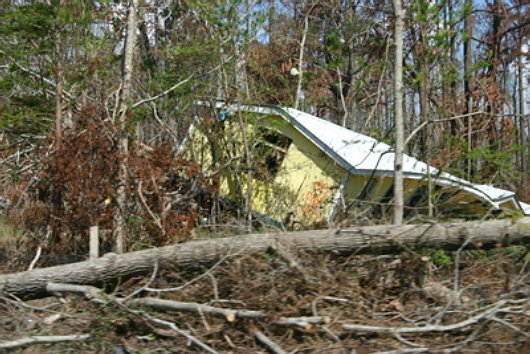 The Greens, a local elderly couple, lost their home in the storm (see picture above). We look to build them a small 778 sq. ft. house. The Green house will sit about 8 feet off the ground. If your mission team would like to tackle this project, contact us to plan your trip to Lakeshore. 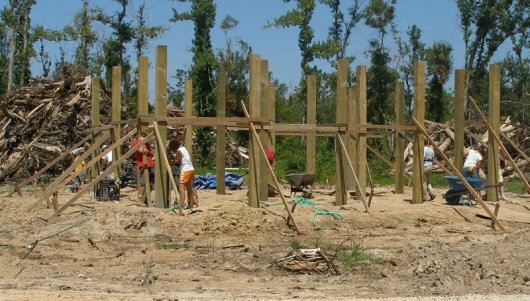 Update: Last week a team from Fisher Creek Church of Attalla, AL made great progress on the Green house. 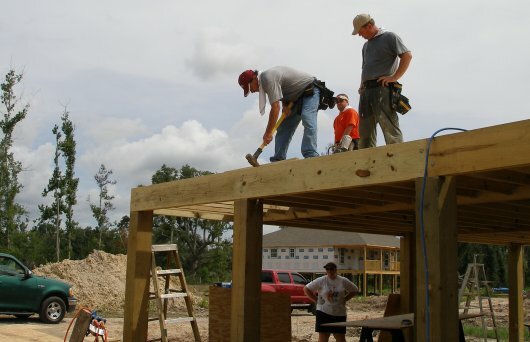 They put down the floor joists, framed up the exterior and interior walls and tacked up the sheeting. We now need a crew to hang the ceiling joists, set the rafters, and put on the roof. Yesterday I posted a Google Earth file marking all the churches in our Gulf Coast Baptist Association. The screen shot showed the pre-storm satellite imagery of our church currently displayed in Google Earth by default. The National Oceanic & Atmospheric Administration (NOAA) snapped satellite images a few days after the storm. You can dynamically overlay these images, within Google Earth, by downloading the katrina-overlays-netlink.kml file. Navigate to the gulf coast and click on one of the blue, red, or yellow dots to pull up the ability to view the overlays for that location. Choose the 4kX4k version for the sharpest detail. Sort of just for fun, I imported a list of all the sister churches in our Gulf Coast Baptist Association into Google Earth. Download and install the free Google Earth application. Open the gcba.kmz file and fly to the Mississippi gulf coast. You will see place markers for all the SBC churches in our association. If you navigate to our church, you can view the satellite imagery of our buildings from before the storm. I inserted a couple of before and after Katrina pictures of our buildings. I plan to compile a list of the 300, or so, churches that have made mission trips to Lakeshore since the storm and import them into Google Earth to create a nation-wide map of the volunteers who have come from across the country. I’ll post it when I have this map together. People often ask us to publish our most pressing needs. Since the storm destroyed all our buildings, the most urgent need has always been storage space for contributions, building materials, and other things to fuel the ongoing relief effort. Now that we have a new warehouse, and a forklift, we could use pallet racks to make best use of the vertical space. The 12 foot ceilings will allow us to stack pallet several high and double or almost triple the usable storage in the 30X60 building. We think that three 30′ rows would serve to ideally expand the maximum capacity. If you would like to adopt this need, please contact us. UPDATE: A big thank-you goes out to Jim and Nancy Staeck for donating the needed racks. 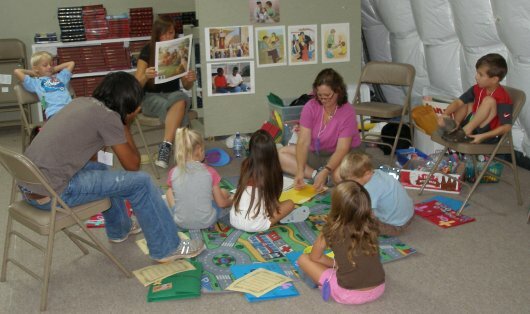 Last week we had a great Vacation Bible School with as many as 35 kids in attendance. 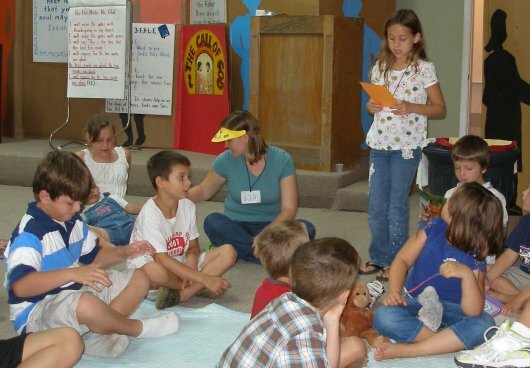 Our friends at Castlewoods Baptist Church, in Brandon MS, used Children Desiring God Curriculum to teach kids about God’s call on their life. We highly recommend this material and the folks from Castlewoods did a great job. “Ask and ye shall receive.” A few weeks ago, we mentioned our need of a forklift to accompany our new warehouse. The missions-minded Union Baptist Church in Pucket MS answered the call and donated the valuable piece of machinery for our ongoing relief, recovery, and rebuilding efforts. We sure appreciate these great folks who have helped us in so many ways. 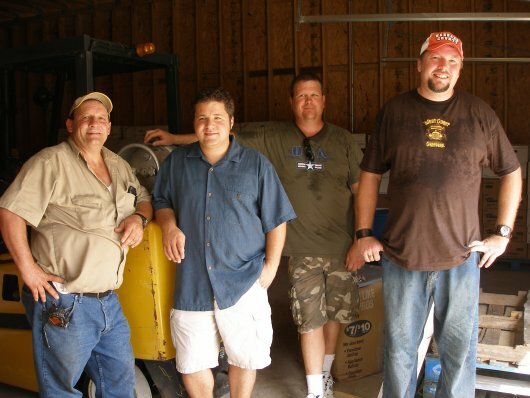 pictured above: James Bobbitt, Don Elbourne, Phillip Means, and Ray Douglas. We finally closed on another piece of the land puzzle. Since the storm we have purchased four parcels of adjacent land. Last year our pre-storm neighbor, who owned the property where the current camp kitchen sits, agreed to sell to us. Because of issues pertaining to his Mississippi grant he needed to wait on closing. This past Friday we completed the transaction on this forth piece. The diagram above shows our current land holdings. This acquisition opens up enough property to begin making plans for our new church facilities while still hosting, housing, and feeding the volunteer efforts. With this new property footprint, we do still have the sensitive issue of existing grave sites that we want to respectfully incorporate into development planning. We would love to obtain the other two sections of land on the chart above, however the current owners have expressed no interest in selling. Please make these issues subjects of prayer as we move forward for the glory of God. We had to say good-bye to two more members of our summer team this morning. Jayme and Liz, from Michigan, worked with us for the last 4 weeks. Their willing hearts, glowing smiles, tireless efforts, and obsession for power tools brought encouraging joy-filled assistance to the relief efforts in Lakeshore. We praise god for them and their families who graciously allowed them to serve this summer. Electrical volunteers from FBC Gaffney South Carolina get help from West Virginian volunteers to wire a house this week. 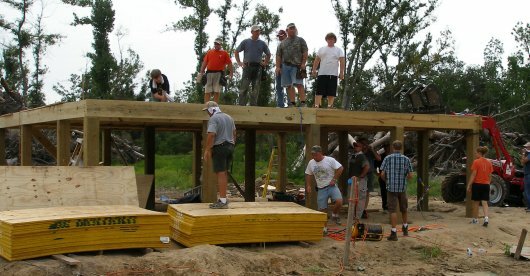 We praise god for those who have made a long term commitment to help rebuild our community for the glory of God.